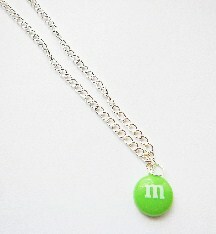 New product: fake sweet necklace. Choose between green, pink, red, brown, blue, purple and orange. Other options are available including, sterling silver and length sizes.